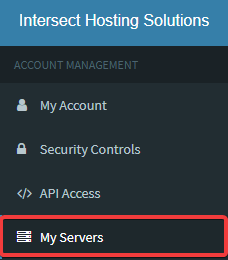 Login to the server management control panel. If you have trouble logging in we have instructions for resetting your password here. Before changing anything we recommend shutting down your server first! 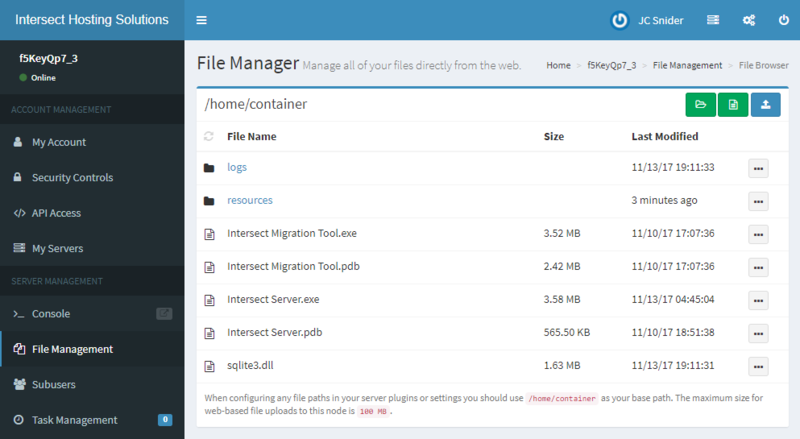 The File Management page allows you to upload new versions of your game, download backups of your important files (game database: resources/intersect.db & config file: resources/config.xml) and more!